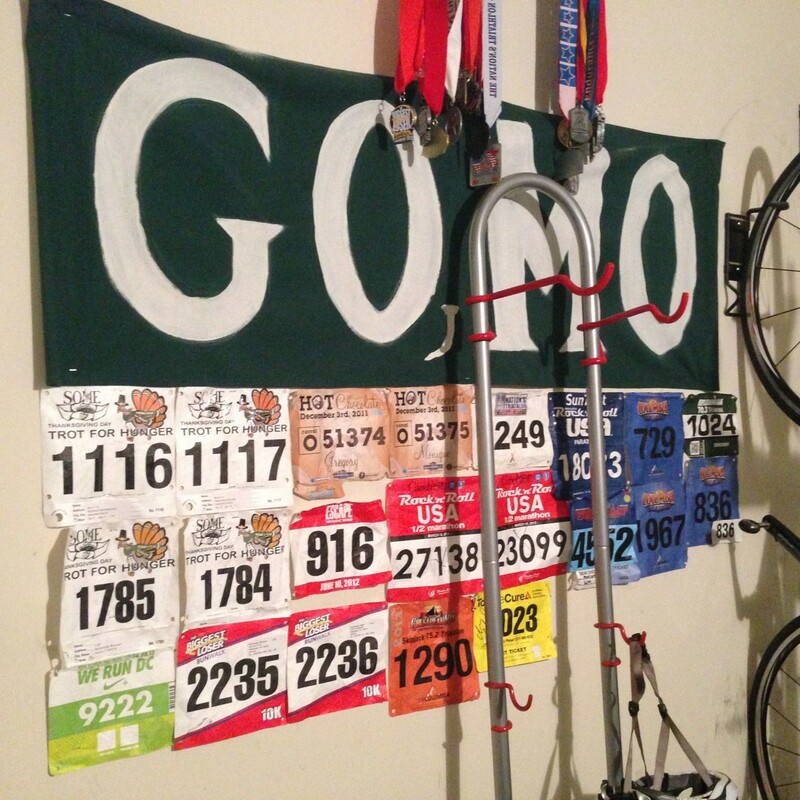 We have a wall in our garage that we have started hanging our race numbers and medals. It is fantastic. Not only to reminder our accomplishments but also as a reminder that anything is possible. Our wall is located next to our garage door. Every time we come home it is the last thing we see before entering the house. A real mode changer. Helps us come out of “work” mode and into the “family” mode. And out of “sleep” mode and into “training” mode as we grab our bikes from the garage for a 5am spin session. I love our wall. Puts a smile on my face. What is really fun is our older daughter, Sasha, will post her first race number this Thanksgiving. At the Washington DC SOME Turkey Trot. It would be wonderful to have a community of inspiration for all of us to get energized from. Especially now that it is cold weather season. Triathlon Parents is not affiliated with, endorsed by, or otherwise representative of IRONMAN or WTC.